September, Cigdem Topçuoglu, whose husband was killed by Israel on board of Mavi Marmara in 2010, will be sailing with women from all over the world on the Freedom Flotilla Coalition’s latest mission, the Women’s Boat to Gaza (WBG). Ms. Topçuoglu’s action symbolizes Freedom Flotilla Coalition’s (FFC) position regarding the Israeli blockade of Gaza. It must be fully and unconditionally lifted. The Gaza Strip is the largest open air prison in the world. More than 1.8M persons have been living under an inhuman an illegal Israeli blockade since 2007. The blockade is killing Gaza. Five UN special rapporteurs found that the blockade of Gaza is illegal collective punishment. 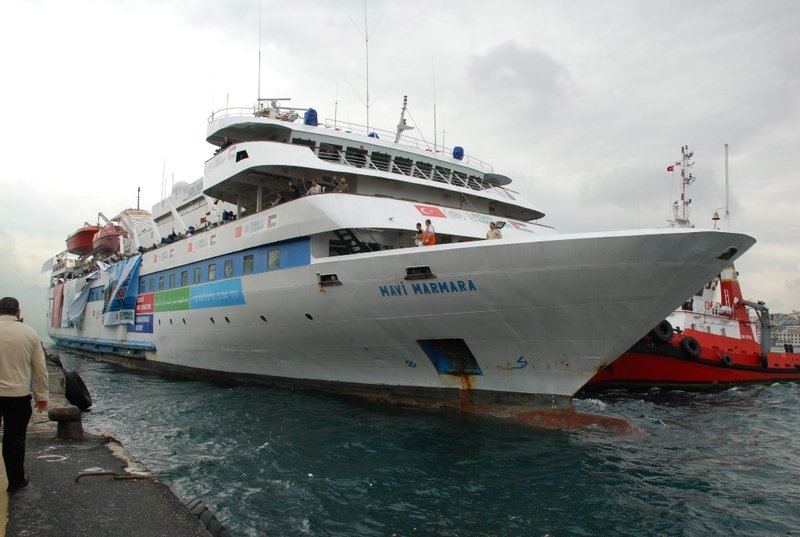 MK Haneen Zoabi, who participated in the 2010 on board the Mavi Marmara, said that the reconciliation agreement between the two countries is a clear “admission of murder” by Israel. Ms. Zoabi called for more flotillas in order to remove “the criminal siege on Gaza”.